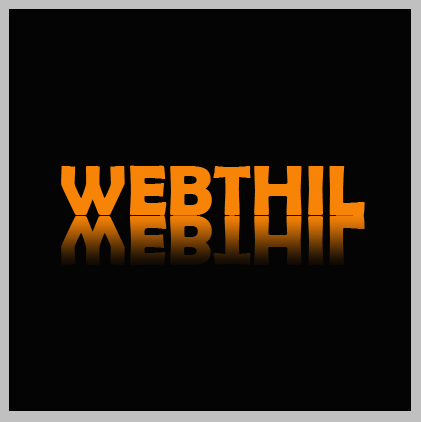 In this Photoshop text mirror effect tutorial I am going to show you how I create a simple mirror effect for my text. I am creating this effect using Adobe Photoshop CS3 Extended and it is the basic tutorial in Photoshop. 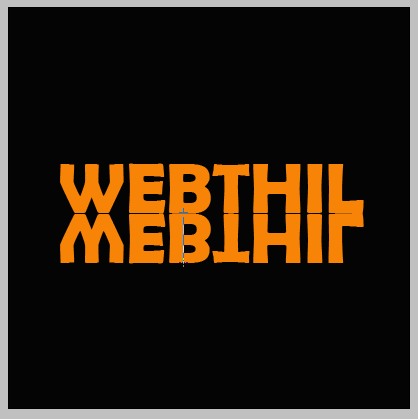 Are you eager to learn how to make mirror effect text in Photoshop? 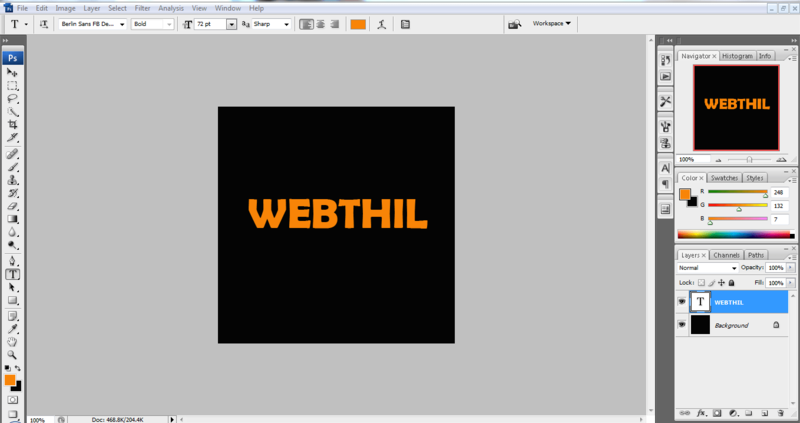 Then read this tutorial step by step and do it in your Photoshop. Here in this tutorial I am using screenshot to demonstrate how I do it in Photoshop and I am explain it in 8 steps. As you know well in Photoshop first you open a new window in which you are going to do all the things. 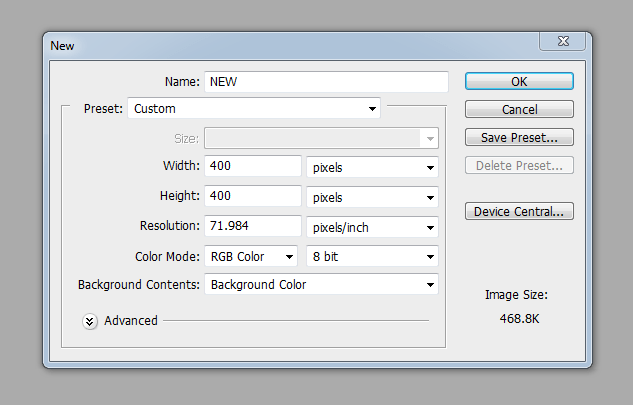 So Go to File -> New the below image will open in that you have to set your width, height, resolution etc. 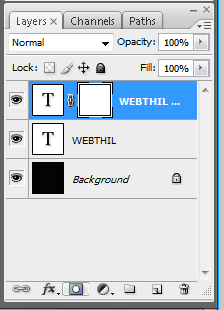 After open a new window take Horizontal type tool (T) and type your text. 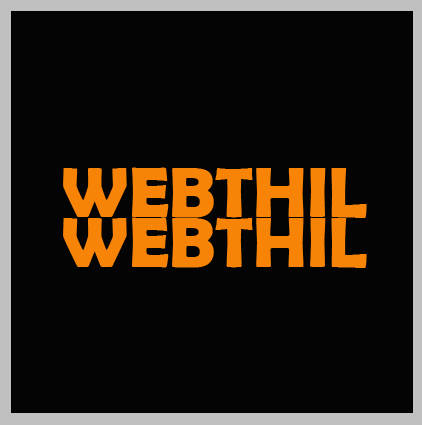 Here I am using black colour as background and for text orange colour. Now your text is ready and you are going to do that magic in this text only so duplicate your text by going to Layer -> Duplicate Layer. Now you can see new layer come in the layer section. After creating duplicate text you need to move it to the bottom of original text because the duplicate text is going to become a mirror of original text. 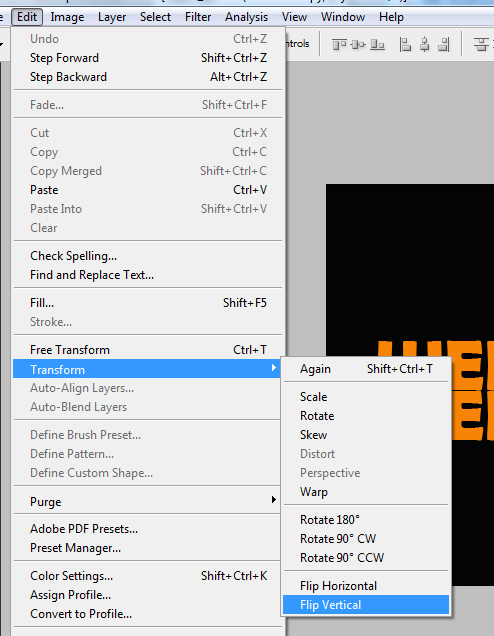 In this step you are going to reverse your duplicated text and for doing this go to Edit -> Transform -> Flip Vertical. Now your duplicated text gets reversed as shown in below screenshot. You need to add layer mask in order to make it mirror of your original text. 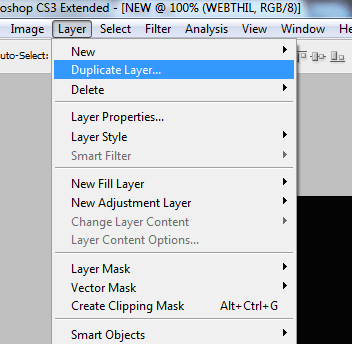 In the Layer you will see Add Layer Mask option using this you can done it. Now you are going to apply Gradient to your duplicated text. 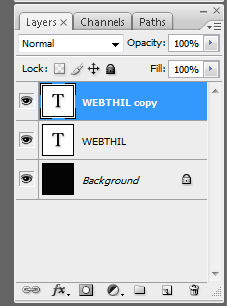 For doing this take Gradient tool (G), then select Gradient style after that draw Gradient effect in duplicated text as shown in below screenshot. You can see your gradient in layer also. Almost all things are done now you are in the final step and in this step you need to adjust opacity for your duplicated text. 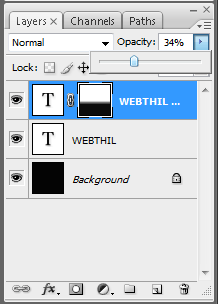 You can see the Opacity option in layer and in that adjust the opacity. That’s it now your text with mirror effect is ready. I hope you will enjoy this tutorial and if you think this post is useful to you don’t forget to share with your friends. If you have any feedback please commented it below.